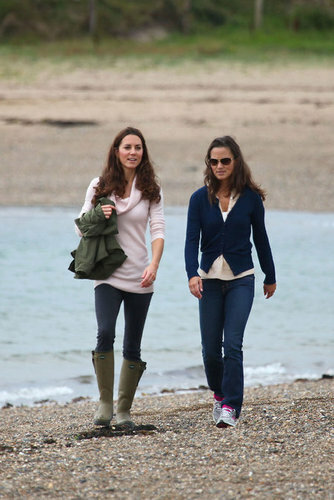 Kate and Pippa strolling in Llanddwyn Island of Newborough, North Wales (21 August 2011). . Wallpaper and background images in the Prince William and Kate Middleton club tagged: duchess catherine royal.